The Beantown Bloggery: Movie Alert: Here Comes the Boom! Movie Alert: Here Comes the Boom! Ok, looks like we have at least two movies filming in the area for the next few months. Hopefully we get a few more. 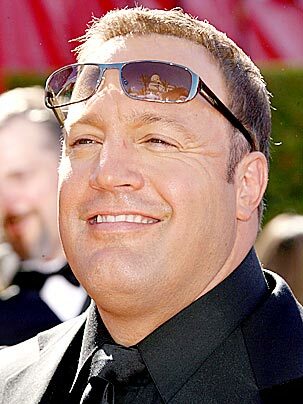 Remember one of my posts from a couple months ago about a potential Kevin James movie where he plays a mixed martial arts fighter (here)? Looks like it's go time - and the movie is currently called "Here Comes the Boom" and they're filming in Quincy. The city has reached an agreement with Columbia Pictures to rent out the old Quincy High School building for a movie shoot. The deal, signed by Koch and Columbia Pictures Industries Inc. of California, calls for the city to receive $80,000 in rental fees for use of the old high school from Feb. 2 until Aug. 26. Koch will earmark the $80,000 to benefit the school department’s music program, Walker said. Sounds amusing. Perhaps it'll end up another surprise hit like Paul Blart did. Click (here) to read the Patriot Ledger Article. 15 Response to "Movie Alert: Here Comes the Boom!" Filming at Logan right now!!!! I heard they are filming in the old Everett High School. sounds like some "background artists" need to keep a bit more mum on the locations. You can be in this movie for free as an extra, I just got free tickets in MAY. Its filming in Lowell, MA. Go to www.onsetproductions.com. Im excited. There's a massive set at Old Quincy High School in Qunicy, MA. Feature Film- "Here Comes the Boom"
Do You live in or near the BOSTON, MA area? If so, we are filming a Feature Film in Lowell, MA. GET FREE TICKETS TO BE IN THE MOVIE TO THE LEFT. SIGNING UP IS FREE. Ever wonder how people get to be in a huge Hollywood motion picture movie scene? Well today is your lucky day to find out how. Onset Productions is the exclusive casting company for spectator extras in the comedy movie “Here Comes the Boom” Tickets are FREE. Yes we did say FREE to be in this movie. Get the experience of being right there on set! We are looking for 300 background spectators each day for this feature film "Here Comes The Boom". You have 2 times slots to pick from each day to attend. If you can't stay all day, no worries, we will have tons of giveaways happening throughout the day if you stay for only half the day. We will be filming 8 days of MMA fights in MAY featuring the stars of the film. We are looking for fans of the actors and the UFC for this special opportunity. Be in this movie for FREE. Everyone must be at least 18 years old and older and have a valid state/government issued ID or passport to attend a taping. Each shoot day lasts roughly 12 hours if you stay all day. For those staying only half the day you will be there for roughly 6 hours. You will be served multiple meals if you stay all day and 1 meal if you stay half the day. Everyone must pass through a security check, including a metal detector, before being seated. -You will NOT be compensated for being in the film. -You will receive an E-ticket with all filming information if you are booked for this movie. -Please request only the number of tickets you will actually use. I KNOW they're filming in Everett too. I heard they're using the old Everett High school. There's signs everwhere saying "boom" and catering..etc. Agrippina Costume Talk at the BPL - TODAY! Mila Kunis, Mark Wahlberg, and Bears. Oh My! Free Boloco Burrito - TODAY!